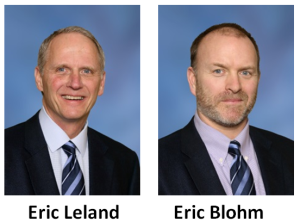 Mohr Partners, a global corporate real estate advisor, announces that IA Interior Architects has recognized Eric Leland and Eric Blohm, Managing Principals in Mohr Partners’ Seattle office, with the IA Interior Architects Industry Partner Award 2015. The IA Industry Partner Award, now in its seventh year, is awarded to recipients as a way to formally acknowledge the individuals who contribute to the success of IA through their commitment to excellence and for their support and contribution to IA Interior Architects. An official ceremony was held on May 13 at IA’s downtown Seattle office to recognize all award recipients. 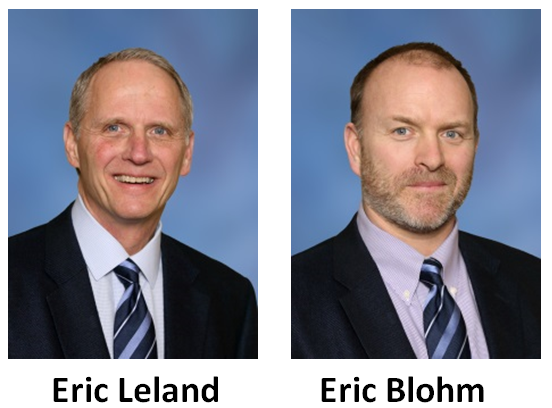 Messrs. Leland and Blohm co-founded Mohr’s Seattle office in 2011, bringing over 40 years of combined industry experience. Under their management, the office has grown substantially in the last four years, leading to the appointment of an office manager in addition to multiple associates and support personnel. They were jointly recognized by Mohr Partners as 2012 “Partners of the Year” and promoted to Managing Principals in 2013. Mr. Leland is a 30 year veteran of the commercial real estate industry with extensive experience in the areas of acquisition-disposition assignments, ground-up development, strategic planning, construction management and financial analysis. During his career, he has led the new development of hundreds of commercial real estate projects, acquired or disposed of over $450 million in assets and leased over 2.5 million square feet of commercial space. Mr. Blohm is a 15 year veteran of the commercial real estate industry with extensive experience in technical facilities consulting, financial and market analysis, acquisition due diligence, supervision of tenant improvement projects and lease negotiations. Prior to co-founding the Seattle office of Mohr Partners, he was a senior member and top producer at Flinn Ferguson Corporate Real Estate and was the Director of Technology Real Estate at Sabey Corporation, a private real estate development company based in Seattle.